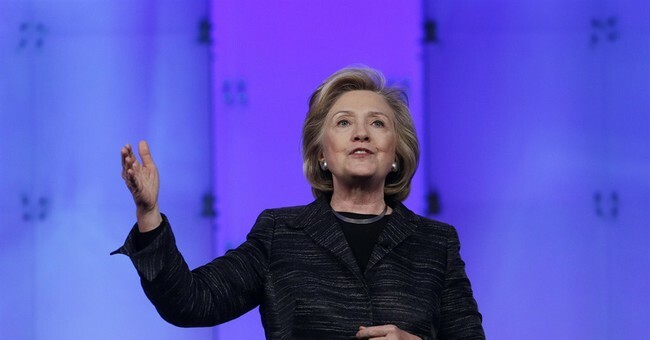 There may be some poetic justice in the recent revelation that Hillary Clinton, who has made big noises about a "pay gap" between women and men, paid the women on her Senate staff just 72 percent of what she paid the men. The Obama White House staff likewise has a pay gap between women and men, as of course does the economy as a whole. Does this mean that Hillary Clinton and Barack Obama both discriminate against women, that they are themselves part of the nefarious "war on women" that so many on the left loudly denounce? The poetic justice in the recent "pay gap" revelations is that the fundamental fraud in the statistics that are thrown around comes back to bite those who are promoting that fraud for political purposes. What makes such statistics fraudulent is that they are comparing apples and oranges. Innumerable studies, going back for decades, have shown that women do not average as many hours of work per year as men, do not have as many consecutive years of full-time employment as men, do not work in the same mix of occupations as men and do not specialize in the same mix of subjects in college as men. Back in 1996, a study published in the New England Journal of Medicine showed that young male physicians earned 41 percent higher incomes than young female physicians. But the same study showed that young male physicians worked over 500 hours a year more than young female physicians. When the study took into account differences in hours of work, in the fields in which male and female doctors specialized and other differences in their job characteristics, "no earnings difference was evident." In other words, when you compare apples to apples, you don't get the "gender gap" in pay that you get when you compare apples to oranges. This is not peculiar to the medical profession. Nor was this a new revelation, even back in 1996. Many studies done by many scholars over the years -- including female scholars -- show the same thing, again and again. A breakdown of statistics in an old monograph of mine -- "Affirmative Action in Academia" -- showed the pay differential between women and men evaporating, or even reversing, as you compared individuals with truly comparable characteristics. This was back in 1975, forty years ago! There might have been some excuse for believing that income differences between women and men were proof of discrimination back in the 1960s. But there is no excuse for continuing to use misleading statistics in the 21st century, when their flaws have been exposed repeatedly and long ago. Many kinds of high-level and high-pressure careers require working 50 or 60 hours a week regularly, and women with children -- or expecting to have children -- seldom choose those kinds of careers. Nor is there any reason why they should, if they don't want to. Raising a child is not an incidental activity that you can do in your spare time, like collecting stamps or bowling. If you trace the actual history of women in high-level careers, you will find that it bears no resemblance to the radical feminist fable, in which advances began with the "women's liberation" movement in the 1960s and new anti-discrimination laws. In reality, women were far better represented in professional occupations in the first three decades of the 20th century than in the middle of that century. Women received a larger share of the postgraduate degrees necessary for such careers in the earlier era than in the 1950s and 1960s. The proportion of women among the high achievers listed in "Who's Who in America" in 1902 was more than double the proportion listed in 1958. The decline of women in high-level careers occurred when women's age of marriage and child-bearing declined during the mid-century "baby boom" years. The later rise of women began when the age of marriage and child-bearing rose again. In 1972 women again received as high a proportion of doctoral degrees as they had back in 1932. The truth is not nearly as politically useful as scare statistics. The "gender gap" is not nearly as big as the honesty gap.